Competing for the title of best Halloween party? It’s time to re-think the seriously dated decor of that last minute trip to Poundland to buy all the Halloween themed tack you can get your hands on. 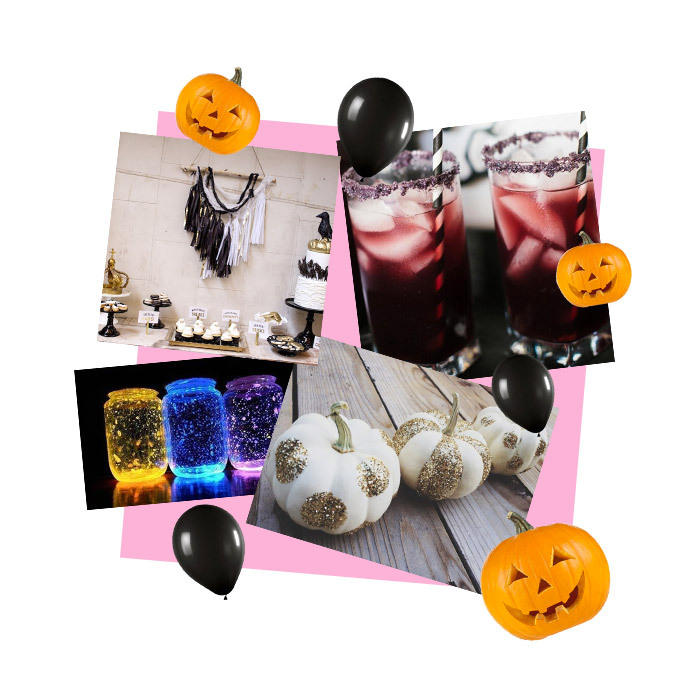 Trick or treat your guests to a Halloween house party to remember with this dose of scarily good inspo for you to creep it real in style. 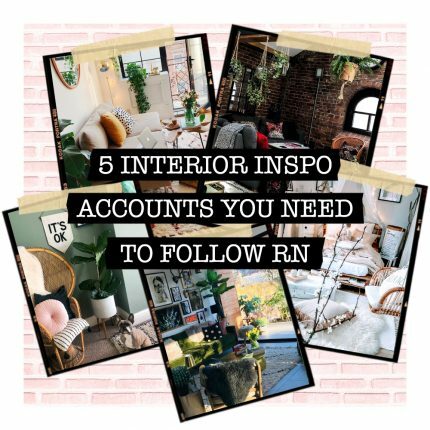 Get inspired with our round up of our fave Halloween party interior style from the wonders of the internet. 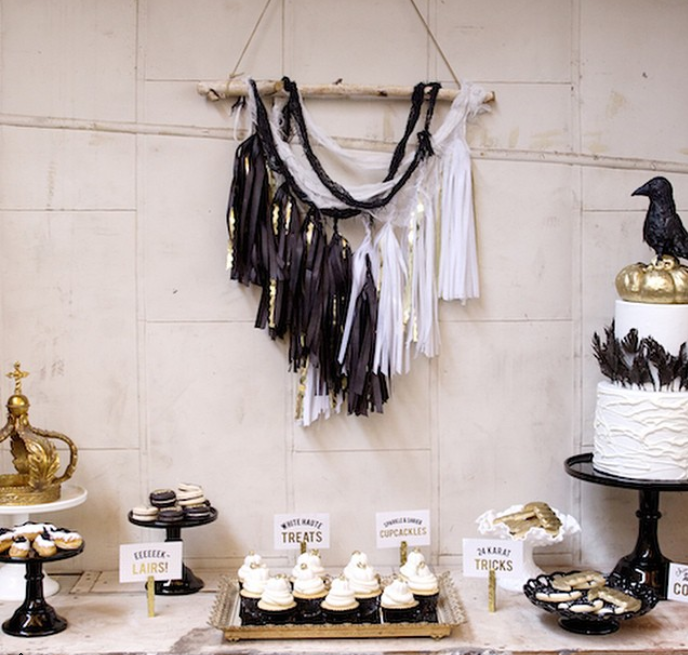 Forget overdosing on tack when it comes to your party’s interior theme. Opt for stylist monochrome decorations you can make yourself by cutting fabric into strips and fashioning them into streamer garlands. Place your wall hanging above the snack area to make it a seriously chic focal piece. 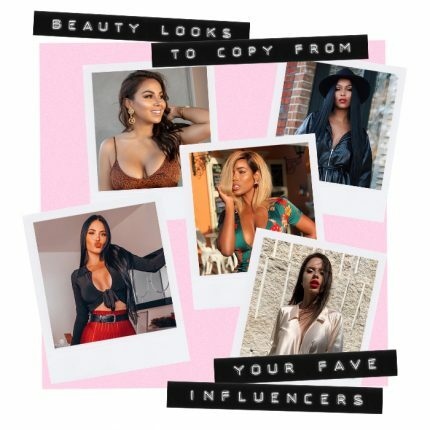 Tres instagrammable and a real talking point for your guests congregating around the canapes. 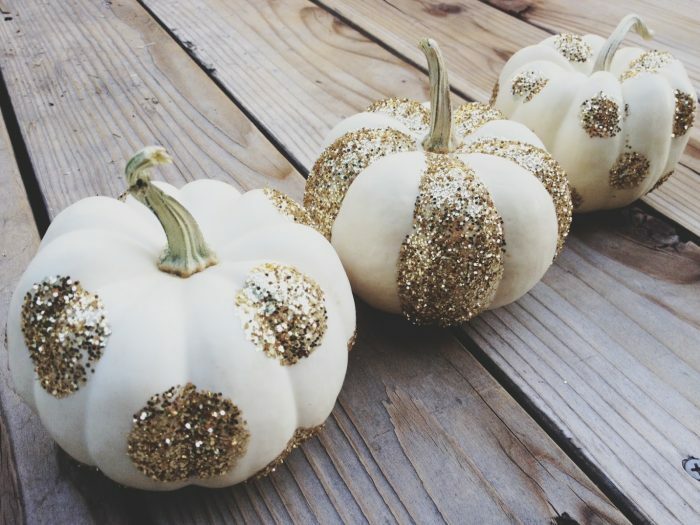 Buy some cheap spray paint and spray a basic pumpkins a clean white to make for the perfect canvas to get crafty with. Add lashings of glitter and sequins into cute prints or get wordy by fashioning your designs into Halloween themed slogans. 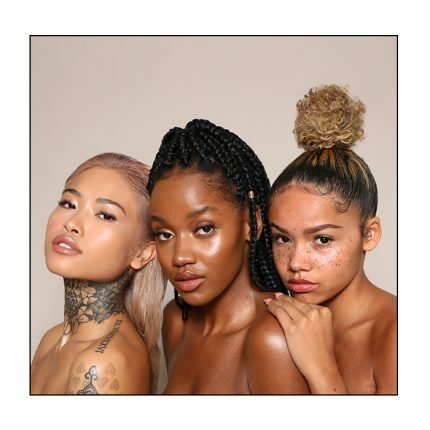 Bouje over basic every time. All adult Halloween parties would be nothing without the all important drinks menu right? We’re loving this Black Widow inspired cocktail consisting of 2 oz. Blackberry juice 1 oz. Simple syrup and 1 oz. Vodka. Mix everything together in a highball glass with ice and serve. 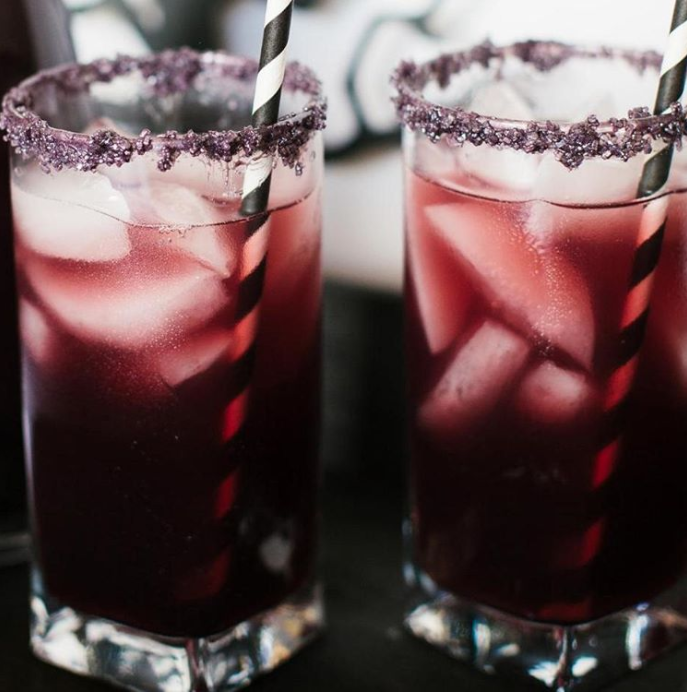 It is Halloween so presentation is key here, dip the glasses in purple colored sugar for the perfect finishing effect. 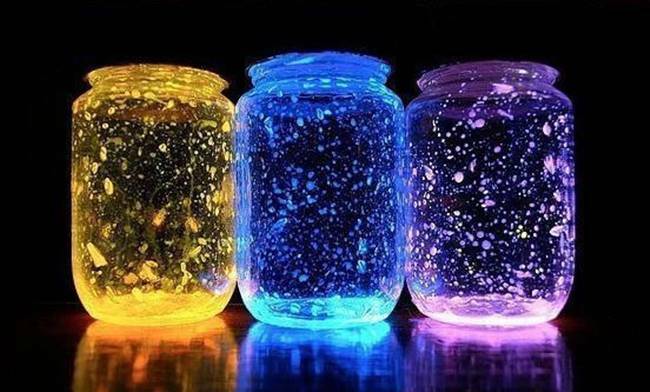 Wanna make yourself a glittery jar of light? Get yourself some cheap jars you don’t mind getting messy. Cut open a glow in the dark glow stick and empty the contents into a jar, add glitter, seal the jar and give it a good shake to spread the good stuff around evenly. Turn out the lights and voila, you got yourself some added ambiance to strategically place around the house. 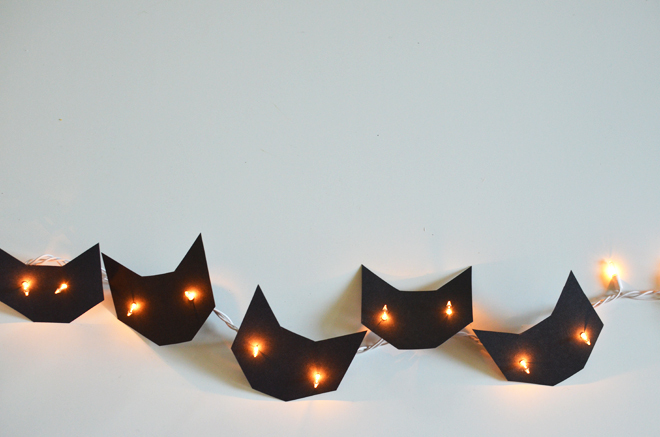 Make your standard fairy lights even cuter by crafting them into hella cute black cats. All you need is some black card, scissors and a hole puncher and it’s time to get crafty. We also like the idea of making them into bats if you’re feeling a little spookier. Hang these anyway from around your snacks table to curtain rails or fashioning them into a wall feature.